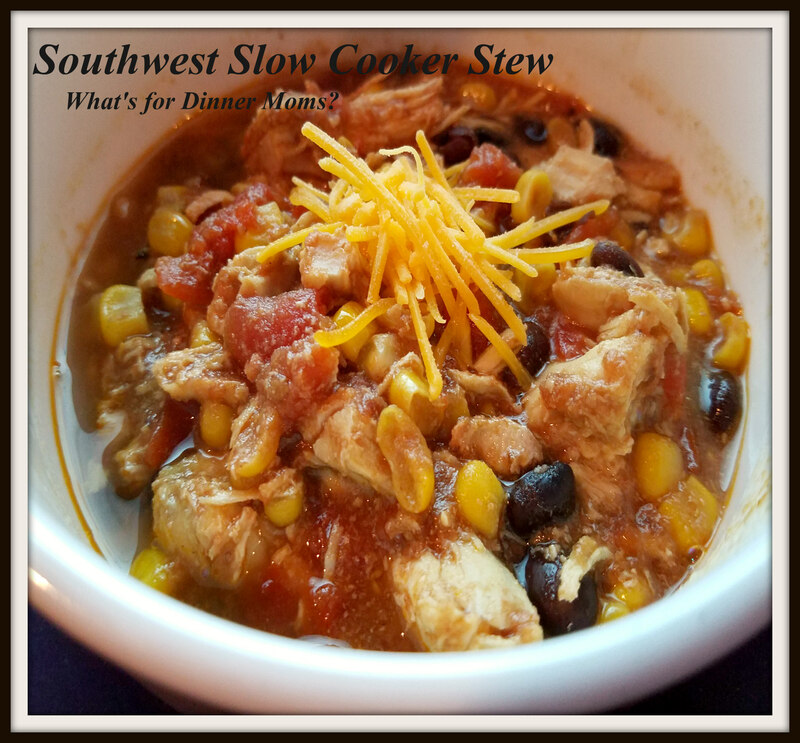 Southwest Slow Cooker Chicken Stew – What's for Dinner Moms? Temperatures for Wednesday are predicted to be -10 to -15 without windchill and about -40 with windchill warming soup and bread sound really good to me. This is one of our favorite soups. You can add bits and pieces of whatever you have left in your vegetable drawer – diced pepper, sliced carrots, or celery. Use those veggies up before they go bad! I served this with a sprinkling of cheddar cheese and tortilla chips on the side to scoop the chunky pieces with. A substantial stew with a warm spicy flavor. 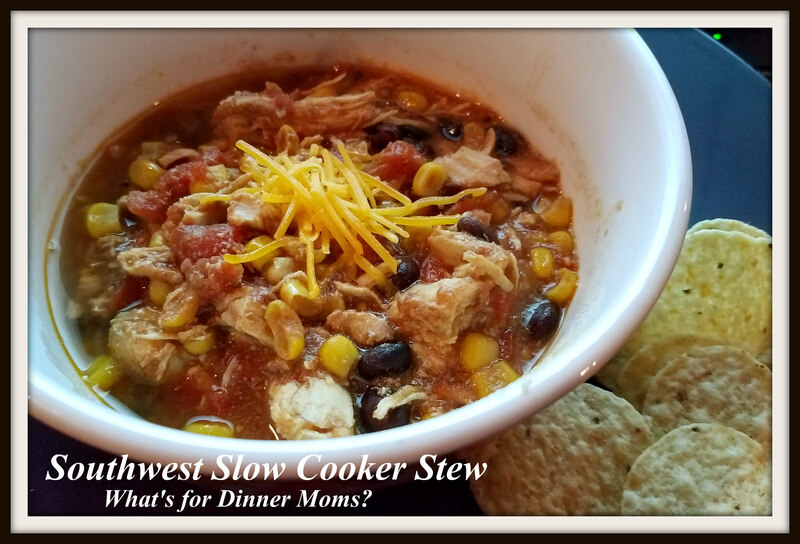 Mix all ingredients in bowl of slow cooker. Cook on low 6-8 hours until chicken is cooked through. Remove chicken and dice or shred (your preference). 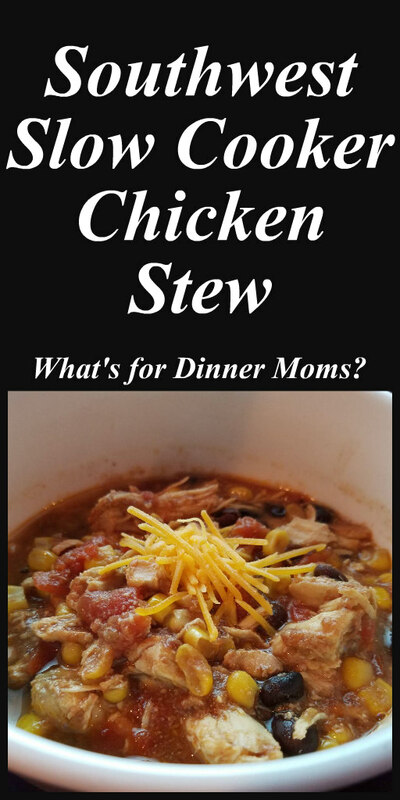 Return chicken to slow cooker and stir well. Taste soup and adjust spices to your liking. OMG! This sounds amazing and ZERO POINTS before toppings! In fact, if you use fat free cheddar and replace the sour cream with fat-free, plain, Greek yogurt, you STILL have ZERO POINTS!!! I can’t wait to make this one!!! I hope you like it! I highly encourage you to play with the spices and vegetables to make it your own and something that you will like!